Lianhe Zaobao has apologized publicly to Colonel Perry Lim Cheng Yeow for mistaking him for Colonel Nelson Yau Thian Hock in an article published yesterday. 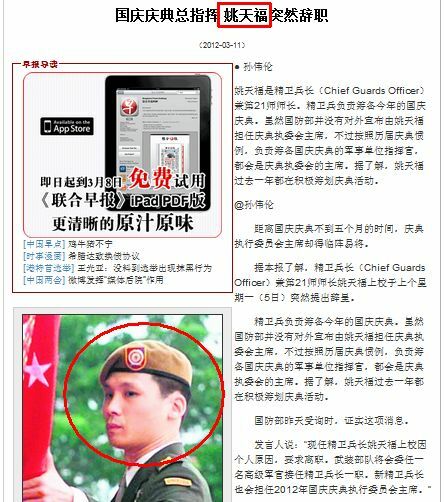 In a ‘rectification’ issued today, Lianhe Zaobao admitted it has used the wrong photo in the article and apologized to BG Perry Lim for any ‘inconvenience’ caused. Besides relinquishing his position as Chairman of the organizing committee for National Day Parade 2012, Colonel Nelson Yau Thian Hock has resigned as Chief Guards Officer, Commander of the 21st Division and retired from the Singapore Armed Forces (SAF) as well. Lianhe Zaobao had earlier reported that Colonel Yau had resigned as the Head of NDP 2012, but did not elaborate on his present status in the SAF. It is understood that Colonel Yau had announced his resignation from all positions in the SAF to senior members of the NDP executive committee last Monday. 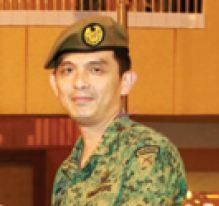 Colonel Yau has been actively involved in the preparation for NDP 2012 and is expected to be promoted to the rank of Brigadier-General in the next three years. Furthermore, senior SAF officers have to give at least three months’ notice when they resign for security reasons. SAF should give a proper explanation to the public on why Colonel Yau is allowed to resign immediately and if his absence will affect the its daily operations and even national security. If top SAF generals and officers holding key positions were allowed to resign immediately and abruptly without any warning for ‘personal reasons’, can Singaporeans still trust the SAF to protect them during troubled times? Unfortunately, nothing can be done on the thousands of hard copies of Lianhe Zaobao sold this morning with Colonel Perry Lim’s face mistakenly on the front page. SAF Chief Guards Officer and Chairman of the Organizing Committee of National Day Parade (NDP) 2012 Colonel Nelson Yau Thian Hock (姚天福) has resigned abruptly from the committee for ‘personal reasons.’ He is also the Commander of the 21st Division. 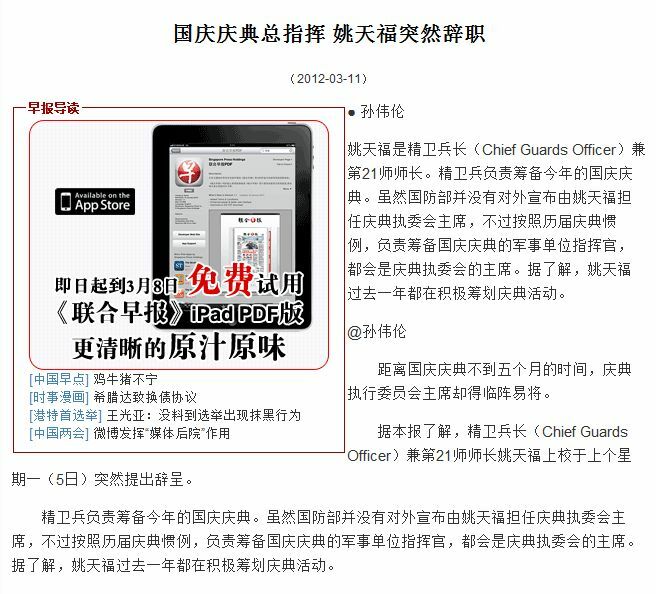 According to Lianhe Zaobao, Colonel Yau made the shocking announcement on Monday in an Emergency Meeting to senior members of the NDP organizing committee. Colonel Tan Kok Ming will be taking over his position. 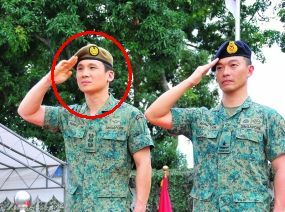 It is not revealed if Colonel Yau is resigning from his positions in SAF as well. Colonel Yau was appointed as Chief Guard Officer in March 2011 and was awarded the Public Administration Medal (Silver) during the National Day awards last year. His sudden resignation came as a surprise as he has been busy preparing for this year National Day Parade and is slated to be promoted to the rank of Brigadier-General in the next three years. Furthermore, senior SAF officers must give a 3-month notice before tendering their resignation. The news has set some tongues wagging with some netizens speculating the real reasons behind his resignation.